HCT 2018: Here Come New Challengers! 2018 has introduced a new road to the Hearthstone Championship Tour (HCT) World Championship. Buckle up and hang on tight as we walk you through the finer details of the Hearthstone Challengers Program! The Hearthstone Challengers program provides a streamlined path to the Seasonal Playoffs for aspiring pro players. Challenger Cups and Tavern Hero Qualifiers will lead to the Challenger Finals, which will qualify eight players to Playoffs each season. Challenger Cups and Tavern Hero Qualifiers in 2018 will continue to be community-run—however, we are establishing additional standard guidelines for tournament formats and more. All Challenger Cups and Tavern Hero Qualifiers (THQ) are free to enter, and open to all eligible participants. Players who have qualified for a Seasonal Playoff in the past three HCT Seasons are ineligible for the Hearthstone Challengers program. Players who are formally recognized as Hearthstone Masters are ineligible for the Hearthstone Challengers program. Innkeepers and Challenger Cup organizers are not eligible to participate in their own events. All Challenger Cups and THQ must be played Conquest style, best-of-three with a single ban. Brackets may be run in either double-elimination or Swiss format, with single-elimination playoffs. Organizers must use an approved tournament platform such as Battlefy, ESGA, or Smash.gg. A maximum of 256 Challenger Cups and 256 Tavern Hero Qualifiers each will be approved each season. A Challenger Cup must have a minimum of 32 and no more than 128 participants. To ensure a fair and positive experience for all players, Challenger Cups may only be held by exclusive tournament organizers with a proven track record of hosting great events. Winning a Challenger Cup will grant an invitation to a region’s seasonal Challenger Finals. But additional placements may also award invitations! The Hearthstone Esports team will announce at the beginning of each season which Challenger Cup placements grants invitationals. Challenger Cups held during Season 1 of 2018 will qualify both finalists (first and second place) to the Challenger Finals. Tavern Hero Qualifiers continue in 2018! Here are some guidelines to help you understand how you can participate in or host a Tavern Hero Qualifier. THQs may only be held by Innkeepers with established Taverns. The THQ event must be created and approved on FiresideGatherings.com at least 10 days before it is scheduled to run. The Tavern Hero Qualifier campaign must be selected when creating the event—events that do not use the campaign feature will not be recognized as official Tavern Hero Qualifiers. A THQ must be open to the public, and held in a public venue. A THQ must have a minimum of 16 players and be run offline. Innkeepers who run THQs must provide a complete event report and tournament bracket within seven (7) days of the THQ’s conclusion. Documentation will be sent to Innkeepers of approved events. Please add FiresideGatherings@blizzard.com and HearthstoneAdmin@blizzard.com to your safe senders list to ensure timely receipt of communications. An Innkeeper may run more than one qualifier during the season, but all previous events must be reported with tournament results before new events will be approved. A maximum of five events will be approved for any Innkeeper each season. Winning a Tavern Hero Qualifier will always grant an invitation to your region’s seasonal Challenger Finals. You’ve made it to the Challenger Finals! What now? Challenger Finals will be held online. They will utilize the Conquest format and be best-of-three with a single ban. The tournaments will be run in Swiss format with single-elimination playoffs. The top eight players will move on from the Challenger Finals to the Seasonal Playoffs. There are no Challenger Finals without the Challenger Cups or Tavern Hero Qualifiers, so tournament organizers and innkeepers interested in hosting Challenger Cups may email HearthstoneAdmin@blizzard.com to begin their tournament applications. Chart your course to glory with this HCT Challengers schedule! Challenger Cup applications are accepted on a rolling basis, up to 10 days before the event is planned to occur. Tavern Hero Qualifier applications will open on FiresideGatherings.com at least 10 days before a season opens, and will close 10 days before the last day of a season. Each season will last for up to six weeks, and invitations to for HCT Challengers Finals will be sent to qualified players near the conclusion of each HCT Season this year. Have you already qualified for this season's Challenger Finals and want to make doubly sure that you have? Check your name against the qualified players list below. If you have any questions or disputes about your qualification, reach out to HearthstoneAdmin@blizzard.com. 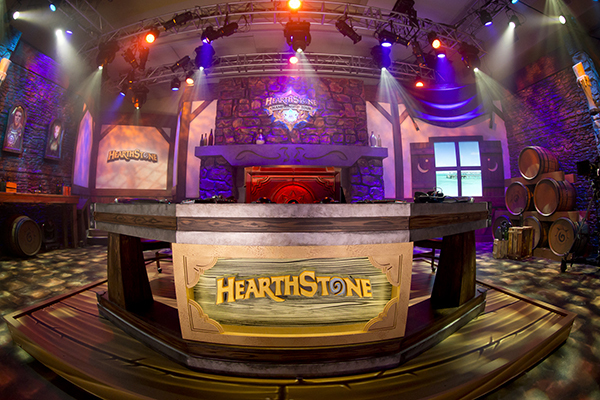 We hope to see you at a Hearthstone Championship Tour 2018 tournament this year! Meanwhile, keep up to date or send any questions our way over Twitter or Facebook with the #HCT hashtag.